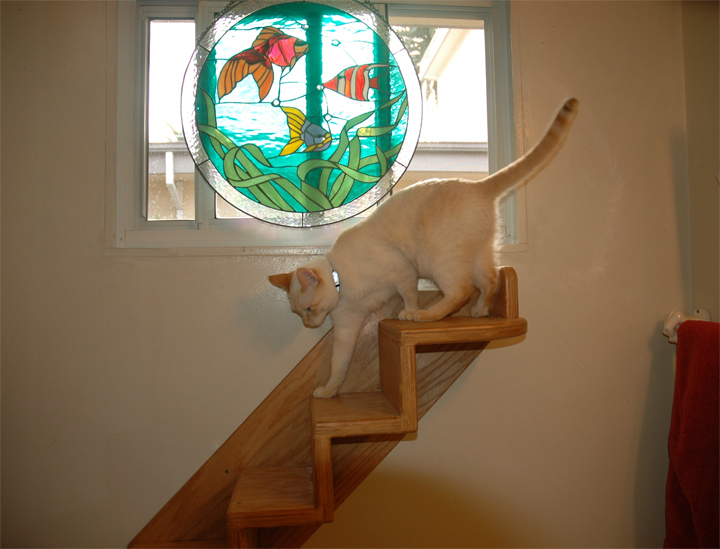 Cat can jump one or two steps on stairs, make code which calculate how many different ways the cat can climb from bottom to top of N-size stairs. You can code the solution in any programming language during the weekend and have to submit it to info@olimex.com latest on Sunday May 5th . On Monday we will upload the solutions on GitHub and review https://github.com/OLIMEX/WPC . You can play with your real name or with nick if you want to be anonymous, we will not disclosure your personal info if you do not want to. If the cat is in the last step of the stairs can it jump “two steps”? Is that a valid move? That´s what i thought :p Thank you! Does ‘count’ mean literally a count of possible solutions, or a list of all solutions? And by ‘count’, I meant ‘calculate’. I need moar coffee! My LOLpython entry I just posted lists the possible combinations and outputs the total – got both camps covered!! BUT LAIK LOLpython IZ 4 FIBBERs! I submitted a solution early, but my first attempt at providing the combinations as well failed. I’ll give it a go on Monday, what with it still being Easter.